I am trying to teach myself how to quilt and I don't think I am being very successful at it. I have done needle and paper crafting practically my whole life, and yet, have never done quilting. I am looking for in-person beginning quilting classes. Do you offer these? I teach at Prairie Stitches Quilt Shop in Oswego, IL. My classes are predominantly machine quilting classes on a domestic sewing machine for beginners, intermediate and advanced quilters. 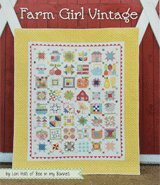 Another gal handles the beginner quilting classes where the project is to construct your first quilt. 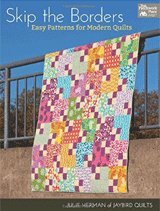 However, over the next couple of months I will be adding a beginner quilt tutorial to the website that will be written like a lesson that you can follow along at home. There will be places throughout the lesson to ask any questions that you may have. 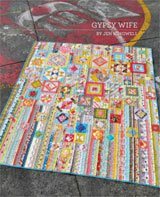 This helps you through any problems you may encounter while piecing and it helps me to write better directions for beginning quilters. The quilt will be a 'baby quilt' size so that you don't have to invest a fortune in fabrics. The rotary cutter, mat and ruler are a big enough bite all by themselves. In the meantime, if you have specific questions as you are teaching yourself, please let me know and I'll do my best to help you. Pictures are a huge help. I can't stress this enough. Especially if you are new and the vocabulary of quilting doesn't come naturally, a picture can get us, together, on the same page faster than anything else. Just as you've asked this question, our 'Ask a machine quilting question' page is the place to ask, and it has a place to upload pictures. If it is in-person quilting classes that you are looking for, I have two suggestions. First, check out our Directory of Illinois Quilt Shops. 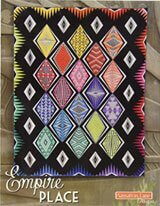 While this is not an all inclusive list, it is a good place to start looking for quilt shops in your area. 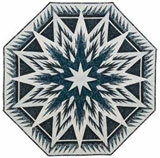 The second suggestion, is to visit our Directory of Illinois Quilt Guilds. At a quilt guild, you'll find quilters with all levels of experience. It's fun to go and hang with a bunch of quilters...we're a great bunch to talented gals, if I do say so myself...and someone may be able to direct you to the perfect class with a good recommendation on the teacher to boot. Thank you for your question. I look forward to hearing from you and helping you learn to quilt.